Graded EX 5 by PSA. 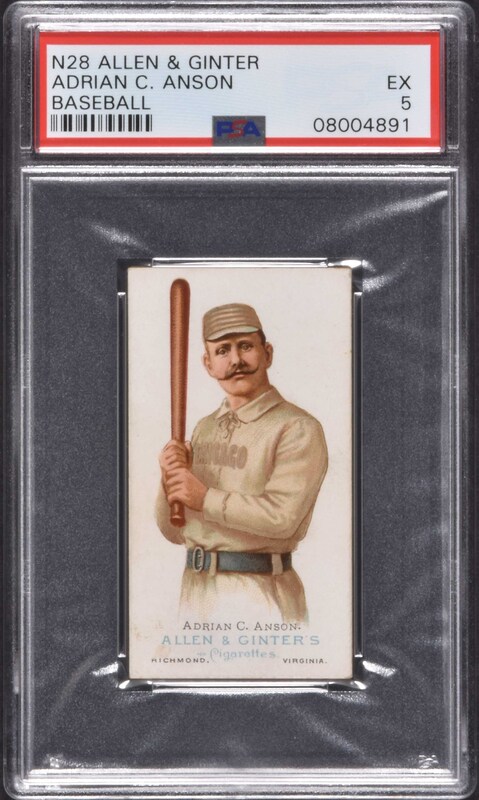 Outstanding high-grade example of Cap Anson, the key card from the popular N28 Allen & Ginter "World's Champions" series. 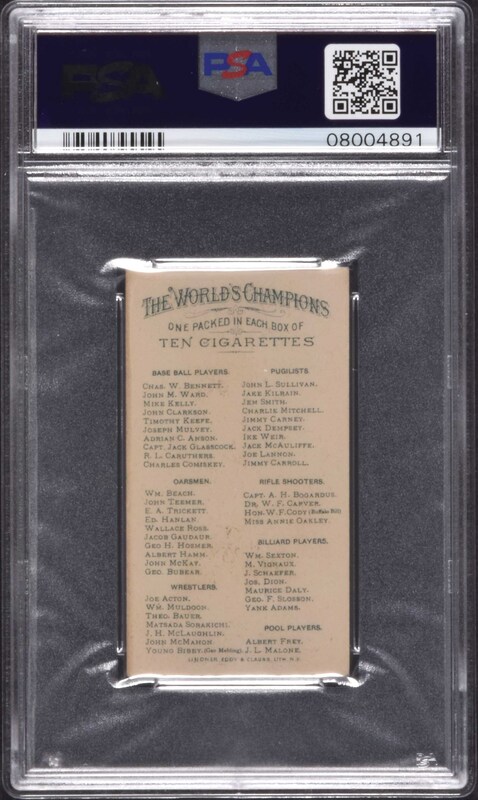 N28 Allen & Ginter "World's Champions" are considered by many to be the most beautiful of all nineteenth-century tobacco-card issues. It is rare to find any 19th-century card in such high grade, let alone one of the era's most classic cards of such a prominent Hall of Famer. The card is crisp and clean, with four strong corners, rich colors, and perfect registration. Crisp and clean checklist reverse. A tiny chip of paper loss on the bottom left is mentioned for accuracy (just below the 'A' in Allen). A spectacular high-grade example of one of the most classic of all nineteenth-century baseball cards. Reserve $1,000. Estimate $2,000/$3,000.